229 Brannon Road, Horse Shoe, NC 28742 (#3404364) :: Robert Greene Real Estate, Inc. Enjoy paddle boarding or kayaking in your riverside retreat, in the bucolic enclave of Horse Shoe Bend. Minutes to downtown Hendersonville, easy access to Brevard, Pisgah Nat'l Forest, and Asheville. 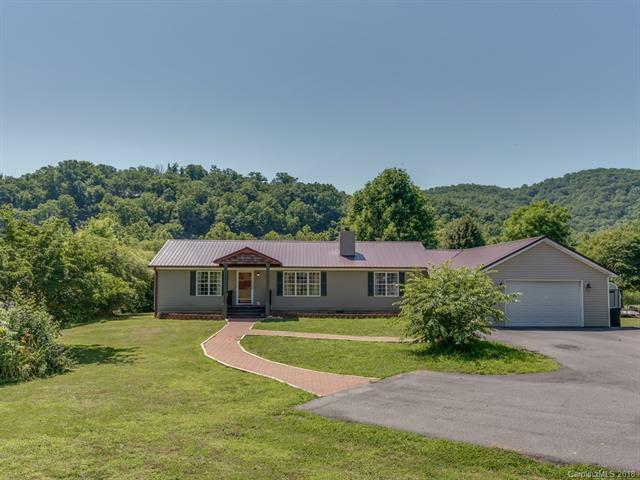 Mountain views, with gently sloping property to French Broad River, picnic gazebo and bonus Bunkhouse. Great potential in this 3 bedroom, 2 bath with oversized den and attached garage with workshop.